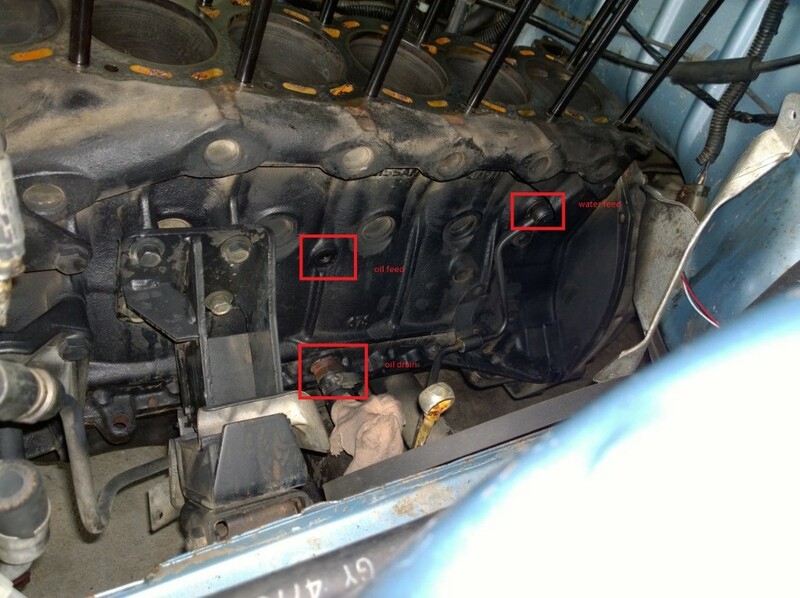 The Turbo aka series 2 engine block has got the fittings as bolts in the last picture of this post. The Turbo Used is a Nissan Garrett T3, which is watercooled, it has an internal Wastegate, which is set to approx 6 PSI. 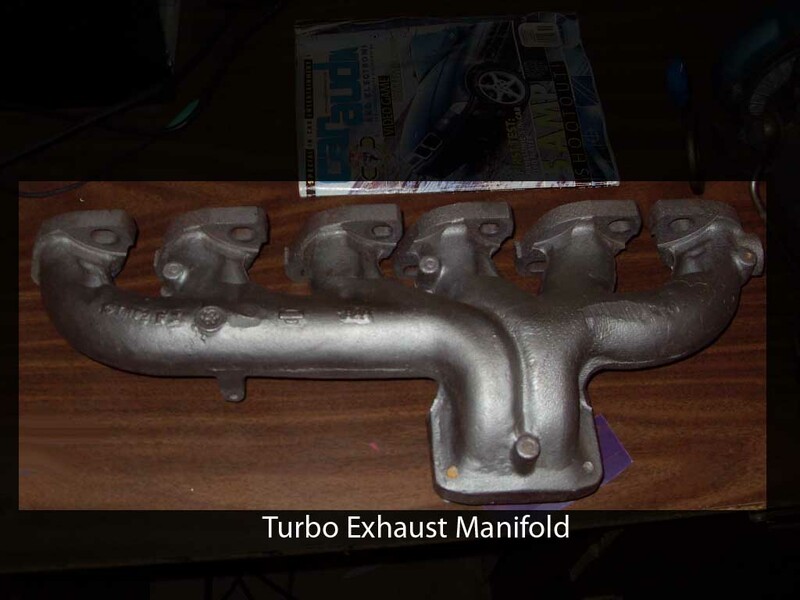 You NEED a turbo computer in order to run the turbo injectors, an Auto computer will run both manual and auto cars, but a manual computer will not run an auto car. Last edited by KALAY; 01-08-14 at 21:38. I take absolutly no responsibility in this guide, its only instructions, if you stuff up and blow your motor, it is NOT and i repeat NOT my problem. Please take care when you do ANY mechanical work to a car, follow safety procedures, if your not sure about anything STOP and ask somebody that knows, or get somebody else to do it. well done man im sure this will be very handy for alot of people. Guys, if ANYBODY has a good pic of any of the items that do NOT have photo's please shoot off a pm, or post it up, so i can intergrate it with the main post. 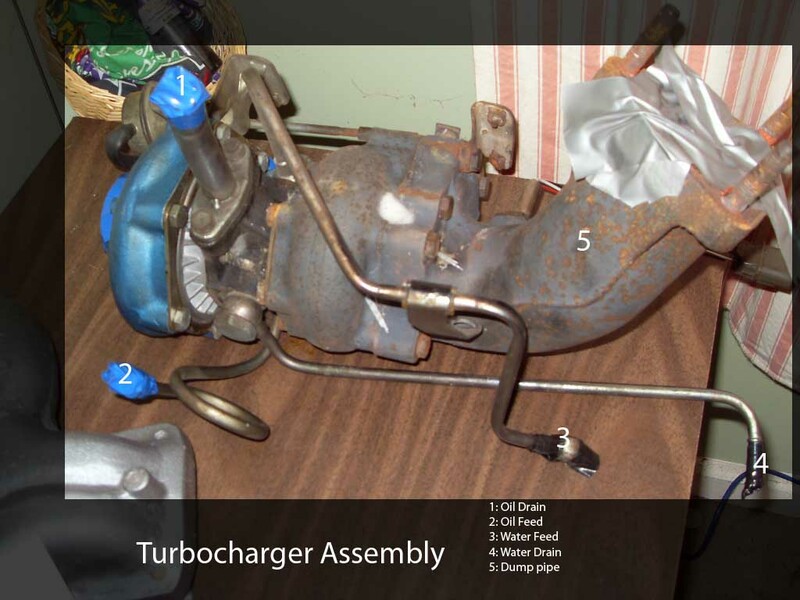 some of might of noticed the main sticky in the non turbo section regarding this conversion isn't working anymore (the original posters website has been dead for a long while now - link to it here: http://www.calaisturbo.com.au/showthread.php?t=9623). I'd like to see this tech thread hopefully get built up and in turn replace that dead sticky - if anyone can help MaD_WoG with photos and additional info that would be a great help. mad_wog - you rock. thanks for the efforts here mate. Last edited by Grega; 02-10-08 at 07:18.
this should stop alot of stupid questions that seem to pop up all the time over and over. People... anybody have any info i should add??? Filling car full of a Higher Octane Fuel should be first step. The coolant line labeled 3 in the pictures i had a few issues lining it up to the block, For 70-80 dollars you can get one made from the line with adjustable fittings also makes it a breeze and less chances of leaks, as these lines can bend. Last edited by michael2427; 08-10-08 at 16:36. Will look in my stash for decent photos. thanks guys.. keep it coming, trying to get this post nice and large.. Awesome write up. Great help for someone with no experience trying to visualise how it goes together. The turbo ecu is identical to the n/a one, it just lacks the knock sensor which n/as don't have anyway. I've personally had n/a ecus on turbo cars with stock turbo injectors and they were fine. Last edited by michael2427; 08-10-08 at 21:31.
um, couple of things just sprung to mind. the knock sensor. mad_wog i'll dig you up a photo (i just bought a whole kit to do this) - i can't remember what pin you need to connect that to - 14 or 21 or something? theres a plastic surge can as well from the VLT which needs hooking up somewhere? 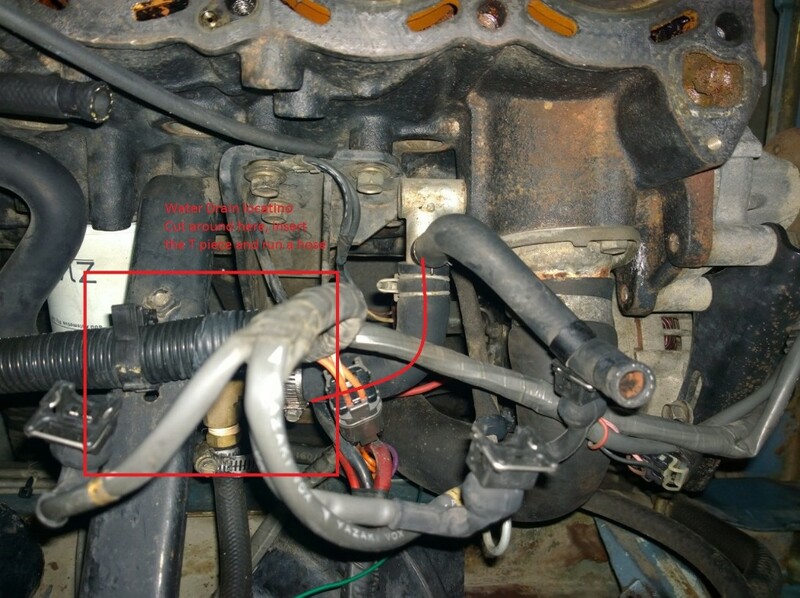 some little things you might want to do before this sorta conversion (i'm putting a list together which is doing my head in) is replace the fuel pump with a fresh item (both lift and hi pressure feed) - replace the fuel filter, air filter and o2 sensor while you're on the job. cheap insurance too - get your injectors recoed / flowed prior to fitment. Very Nice right up Mad_WoG. Na ecu will run Na injectors. Turbo ecu will run turbo injectors. You can't mix and match simple as that. lol he seemed so sure of it as well. boys jack and liam have both proven that you can use the n/a ecu with turbo injectors. what more is there to prove?? Last edited by boom; 09-10-08 at 10:27. Last edited by michael2427; 09-10-08 at 11:13. ^^ You can't tune the factory ecu, unless you have a niztune or similar board. Im not saying you cant run na ecu with na injectors and run t3 on stock boost, but no more. It will run, but like ****. Because I wanted to see what power it was making and if we could potentially pick up any more power. A dyno isn't simply a device used to tune aftermarket ECUs, it was originally developed as a diagnostic tool and in this instance it's what we were using it for. When I say tuned, because it's obviously elluding some people, I should clarify that I'm aware that the factory ECU is untunable, however variables like timing and boost can be played with and adjusted to get the best possible result. A 'tune up' more than a 'tune' if you will. "Any boost over stock" is also a misnoma. We were using a T3/T4, so a bigger turbo that factory, on between 10-12psi. The bottom end was tired, old and flogged - it had an indescript amount of Ks on it however it never complained.